First and foremost, I apologize for the sudden hiatus. Unfortunately, I see more busy days ahead. I will try to update this space as often as I can. When I think of batik, I think of the Singapore Girl (SIA's flight stewardess). Batik is often worn during celebrations such as weddings. 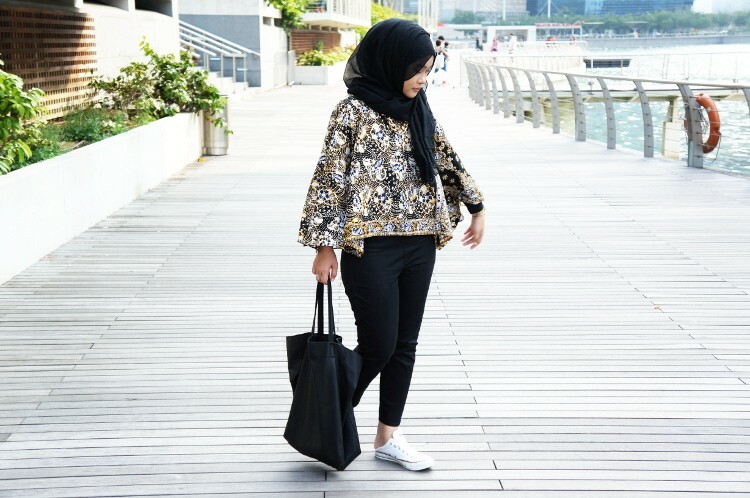 Nowadays, batik is a rare sighting especially in Singapore. The younger generations, batik is associated with their grandparents. However, designers are getting more creative with the use of batik, creating modern silhouettes making it easier for us to wear. So when I first saw this batik top, I was sold. A batik cape-like top that was screaming- "Pick me!". 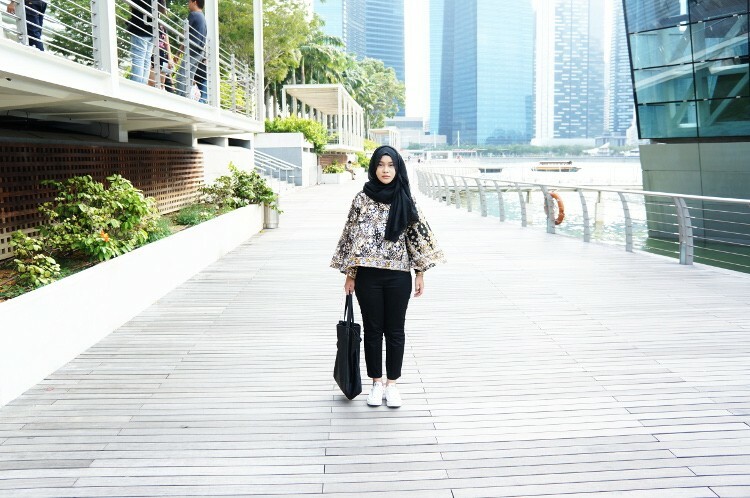 I am wearing Batik Suri Kautsar Sleeves in Black from Seqoci.com. 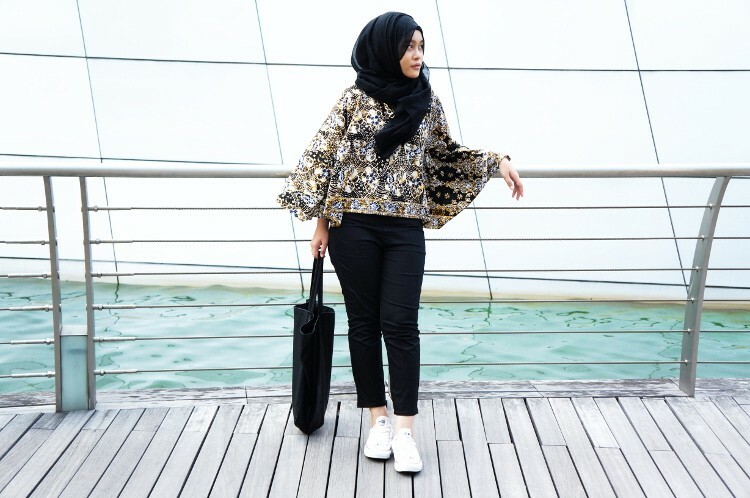 I decided to go with a modern/casual take on batik and paired it with my trusty sneakers. this is gorgeous! when i think batik, i think of beach, holiday, hippie but you pull it off so well and i love the cut of the top!